Everyone who has experienced dry skin will attest to how difficult it is to get rid of rough, dry patches on your hands, arms, feet, elbows and just about everywhere else. Not only is dry, scaly skin itchy, but looking like a sun-baked alligator is not the prettiest picture on the planet. I am not just talking about the ladies here, either. Guys get cracked hands, knees, and elbows too, and it drives them crazy. There are many ways to combat dry skin but my favorite solution is with an ultra-creamy, whipped body butter that I make myself. This has not always been the case. My first foray into the world of body butters was over ten years ago with commercial products that had a sticky, yucky, texture that sat on top of the skin. It wasn’t until years later that I was brave enough to try again, this time with my own DIY version. Making a body butter is insanely easy and requires just two ingredients (or three if you choose to include essential oils). Here is how I do it, and it never fails. Here is what you will need to make a super rich and creamy body butter. 1. Measure the shea butter and coconut oil into a glass bowl or large, Pyrex measuring cup. 2. Create a make shift double boiler using a pan filled with no more than an inch or two of water. Heat the water, using a low flame. You do not want the water to simmer or boil. 3. Add the glass bowl or measuring cup to the water bath, allowing the shea butter and coconut oil to melt. This will take up to 15 minutes so be patient. You want your ingredients to be completely melted. 5. At this point, add essential oils if you choose to use them. Hint: essential oils deliver some amazing healing qualities and will make your whipped body butter smell divine. 6. Get out your hand mixer or stick blender (this is the one I use), and start whipping things up. It may take five minutes or so to begin to look whipped but once it starts, things will go quickly. Once you feel that your body butter is at the right consistency, add a few more minutes to the process. The goal is light and fluffy. 7. Pile the completed body butter into a small glass jar or tin. At this point, it will be very soft and may seem to be exceedingly greasy. Not to worry, however. It will firm up to a just-right consistency in about six hours. Again, you can speed things up in the fridge. Take a pea-sized amount and rub it into the desired body part. It may seem kind of greasy for a moment or two but you will find it absorbs very quickly. That said, a little bit goes a long way and you can always add more if needed. Are you detecting a recurring theme here? Lavender is a soothing essential oil that is universally loved. Lavender + something else is always a good combination. 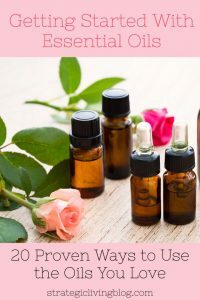 Any other essential oil blend you have on hand a love including the Bye-Bye Bites blend I recently shared or even your favorite diffuser blend. This recipe is highly variable. You can substitute cocoa butter or mango butter for all or part of the shea butter. Likewise, you can substitute a liquid carrier oil (Jojoba, Sweet Almond, Hemp, liquid coconut oil) for the traditional coconut oil. The only caveat is that if you do decide to substitute a liquid carrier oil, reduce the quantity by half to 1/8th cup. Here in Arizona, the temperature has been running in the 80s and 90s. Using a 50:50 proportion of shea butter to coconut oil, my whipped body butter has maintained its texture without refrigeration. As a matter of fact, it gets very firm in the refrigerator and is not very pleasant to use. That said, refrigeration is still an option. This recipe makes a small batch but it can easily be doubled or tripled. In that case, ensure you use a deep glass vessel to facilitate the whipping process. If you do not heed this advice, you will have a mess on your hands with body butter spatter all over the place. Personally, I gave up on over the counter lotions and potions years ago and have found better relief from my own, do-it-yourself concoctions. That said, over the years I have simplified my favorite recipes, streamlining the process and reducing the number of ingredients where I could. Of all things, the most difficult part for me is choosing the oils I use both for healing and for aroma. Ah, the aroma. Let us not discount the feeling of calm that descends when your home and the products you use smell heavenly. Let us make that a topic for another day. Here are links to a few of the products mentioned in this article. Shea Butter: This is the brand I use and it has never disappointed. Others have told me that their shea butter tends to produce a grainy body butter but that has never happened to me. This brand is creamy and does not smell. Yes, some shea butters do stink. You will have to trust me on this one. Organic Coconut Oil: Any high-quality coconut oil will work. I prefer organic coconut oil and use the same product in the kitchen as I do in my salves and body butters. Costco has some great prices but since I purchase 5-gallon tubs from Healthy Traditions, that is what I use. Round Steel Tins: I have these tins in two sizes and find them handy for slipping a small amount of body butter or salve into my pocket or handbag so I have it handy when I need it while out and about. Essential Oils from Spark Naturals: I love this company and know you will too. Plus, get an extra 10% discount using code GAYELEVY at checkout. They are currently offering free shipping to all US locations. Also available on Amazon. Thanks for this! I will definetly give this a try! Have fun with it, Jo. I just made up another batch using a citrus diffuser EO blend as ingredient #3. I will use this as a perk me up in the morning. These days I am very much into the benefits of a pleasant aroma to stimulate happiness. Thank you Gaye!!! Love your new site! Oh Susan, it is so good to hear from you! These days I am using this whipped body butter more frequently as a carrier base for my essential oils. I take a small amount, add it to a one ounce jar, and blend in various oils, depending upon what I am trying to accomplish. My number one use is as a moisturizer, however. It’s absorption rate amazes me. Love it! I buy the 5 gallon buckets of coconut oil from Healthy Traditions, too… have been for years now. I use it every day, including a little bit in my morning oatmeal. I have really bad skin allergies, so I can only use things like pure almond oil, olive oil, or coconut oil on my skin (or I break out in psoriasis); other so-called “hypoallergenic” lotions and such are a nightmare for me. I’ve even just used a scoop of coconut oil right out of the bucket and massaged it into my hair and scalp, wrapping my head in a towel for about 30 minutes before showering and washing it out. That made both my hair AND scalp feel so wonderful! The only down side to using the coconut oil on my dry knees and elbows is that our dog likes to try to lick it off. Thanks for a great, simple, natural recipe! Now I just need to expand into the world of essential oils a little bit and see how that goes. Have you tried essential oils at all? If not, I would start with Lavender which is about as mild as you can get. Whatever you use, given your skin sensitivity, I suggest starting with single oils and a very minimal dilution of 2%. The problem with a blend is that if you have a reaction, it will be difficult to identify the problematic oil. Relating to psoriasis, Shelly was still getting flare-ups on his elbows and knees from time to time so we switched him from a salve (with beeswax) to this body butter (with Shea butter). He rarely if ever has a flare-up these days. Given your background, have you ever studied the ramifications body PH and psoriasis flare-ups? I have been curious about that. Gaye,I love your essential oil articles! Thank You. I do have a question; what do you mean about a 50/50 proportion of shea butter to coconut oil Is this for a ll butters?Thank you. I live in the Palm Springs CA area My cocobut oil is liquid! 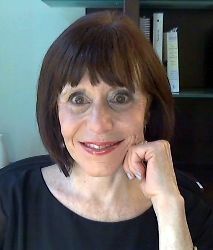 I am thrilled that you like my EO articles! As far as the 50:50 ratio, that is what has worked for me time and time again. I am in Arizona and although my coconut oil is not liquid, it is close to it. What happens (I believe) is whipping air into the body butter allows it to maintain its creamy consistency without becoming too soft. So far so good and it has been hot hot hot here (this is my first summer in AZ). One thing you can do is leave out the EOs at first just to see if you like the consistency. If too loose, you can add a bit more Shea butter (melt it first) by whipping it into the mixture. That said, I believe the 50:50 ratio will be fine.